What if you could actually see angels and fallen angels engaging in battle? Would you have the courage to join the fight? A year ago, Jonah Stone and his sister Eliza discovered that their mother is a nephilim, the child of a union between a human and a fallen angel, which makes them and their little brother, Jeremiah, quarterlings, or one-quarter angel. When Jonah and Eliza are attacked by fallen angels at school, they learn that quarterlings are being targeted all over the world. 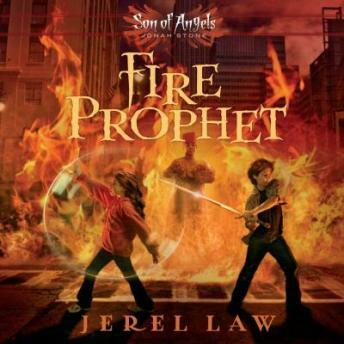 The kids undergo special training to help them discover their own unique angelic gifts and rescue a kidnapped prophet — one who holds the key to a battle between good and evil. This fast-paced fantasy adventure based in Scripture brings spiritual warfare to life. The series is the first Christian answer to Percy Jackson and the Olympians, The Kane Chronicles, The Secret Series, and other middle-grade series packed with adventure, action, and the supernatural. But the message is solidly scriptural in that the most powerful weapon of all is prayer.